Or: do you know where that car’s been? Buying a car is quite an involved process. It’s fun, because buying something—even it is second-hand—is still exciting. But are you aware of what you need to do to ensure a safe purchase? Getting caught up in the sale and thoughts of what you’re going to do once you have your car can sometimes lead you to make a few rash decisions. Here are 5 things you should consider before buying a car. The favourite customers of salespeople are those who are in a hurry to have the car. These customers typically don’t inspect a car thoroughly, nor do they try to negotiate the price. Buying a car, even a second-hand one, is not a decision you should make lightly. Don’t let a salesperson rush you into a sale because it’s convenient for them to do so. Take your time and think carefully before making the commitment to buy. The seller doesn’t need to know your finances while you’re negotiating price. As soon as you tell them what you can afford they’ll more than likely trying to get the price as close to that as possible. When you’ve decided on a price that you feel is fair, state the offer clearly and leave it at that. If the seller won’t budge, leave. If you’ve done your homework, and you know what the car’s worth, hold to that price. More often than not, the seller will try and reach a deal you’re happy with before you’ve reached the exit. Everyone does this. Salespeople everywhere ask if you want all the bells and whistles you don’t need or want. Car sellers will ask you about things like glass etching, undercoating and paint sealants—you don’t really need these. So unless you want to fork out extra money because you can, it’s best not to buy these add-ons. A car history report is vital to knowing the history and condition of the vehicle. A car history report from Quick Revs can tell you all you need to know about a car’s history, and whether it’s safe to buy the car or not. The last thing you want to do is buy a stolen car. Or a car where the current owner still owes money on it. Other problems could be odometer fraud, which can end up being quite costly;as well as making sure the car is actually registered in the state you’re buying it in. 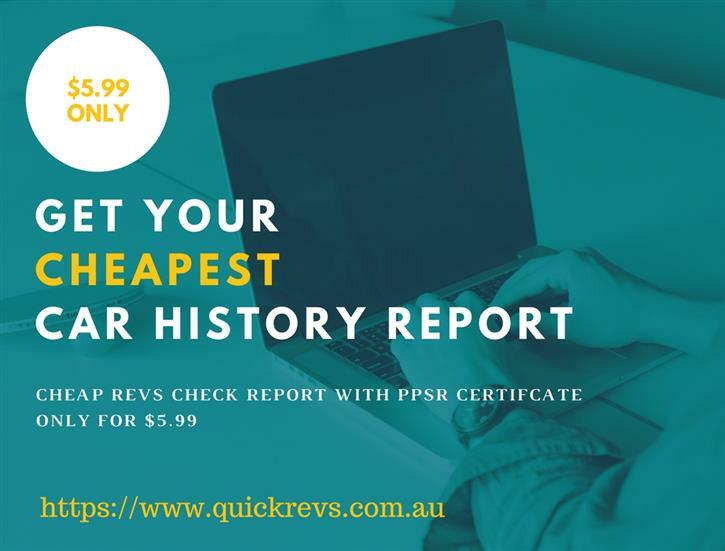 Quick Revs is a website designed to make acquiring a car history report cheap and easy. On our website, you won’t find any convoluted jargon, or weird double-speak. Our website is written in simple English, is easy to navigate and is one of the cheapest non-government websites for car history reports in Australia.